Dr. Braithwaite has a research background in fish behavior and welfare. Her research has addressed nociception, pain and welfare in fishes in research and applied settings. She has served on numerous committees and boards related to animal welfare, and she has written reviews and scientific research articles addressing how we should house, maintain and care for fish in a variety of captive contexts. Dr. Braithwaite was part of a UK government panel devising humane end points for fishes used in research. 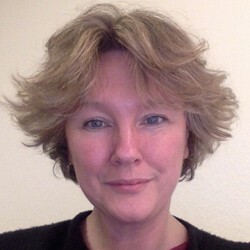 She is on the ethical review panel for the journals Behaviour and PLOS ONE, and is the fish and fisheries section editor for Animal Welfare. In 2015, she directed a year-long working group at the Institute for Advanced Study in Berlin, Germany that investigated ways in which to assess pain and to determine which animals have the capacity to feel the emotional components of pain. She received a BA (Hons) in Zoology and a D.Phil. in Animal Behaviour at the University of Oxford, UK. After serving on faculty for 12 years at Edinburgh University, UK, she moved to Penn State University, USA in 2007. In addition to her research, she teaches animal behaviour and animal welfare classes to undergraduate and graduate students. Dr. Braithwaite is a Fellow of the Linnean Society (2016), a Fellow of the Wissenschaftskolleg zu Berlin (2015), and was awarded the Fisheries Society (FSBI) Medal for her research on pain in fishes (2006).